GALESBURG, Michigan (WLS) -- Both sides of Interstate 94 in southwestern Michigan remain closed Saturday as crews remove acid and tow away vehicles stuck in a fiery pileup involving almost 200 vehicles on Friday. 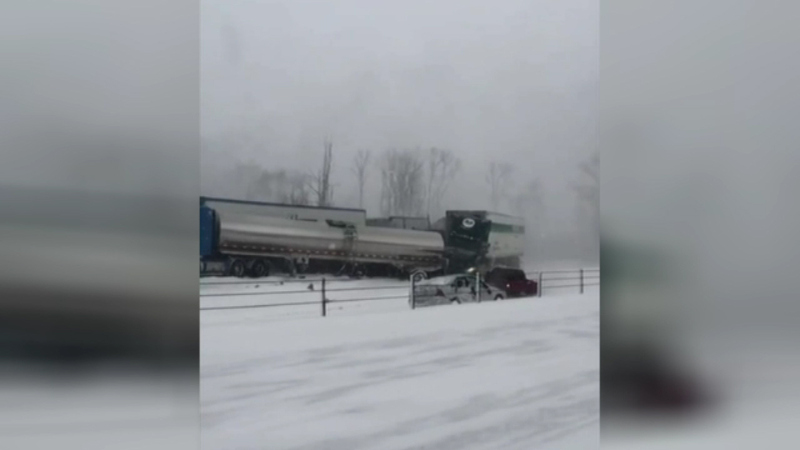 New video Saturday of the chain reaction crash shows one vehicle after another crashing on the highway near Kalamazoo. 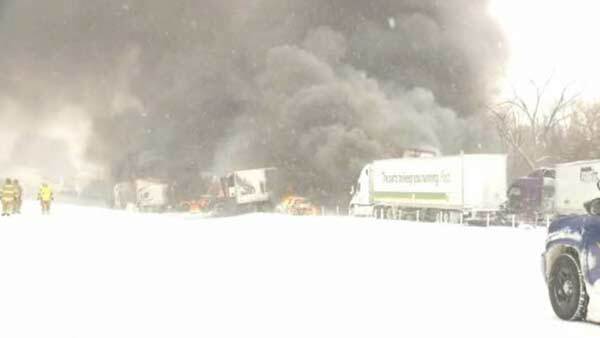 In the end, the pile up involved at least 193 vehicles, including dozens of semis. A Canadian truck driver was killed and about two dozen other victims were taken to the hospital.